Here we have for sale a stunning Land Rover Defender 110 XS 2013 2.2TDCi Double Cab painted in our paintshop in Candy Apple Red. This colour gives stunning results when the sun hits it, sprayed first in black then with red fleck layered over the top and finished off with several coats of lacquer giving an almost wet look to the paintwork. 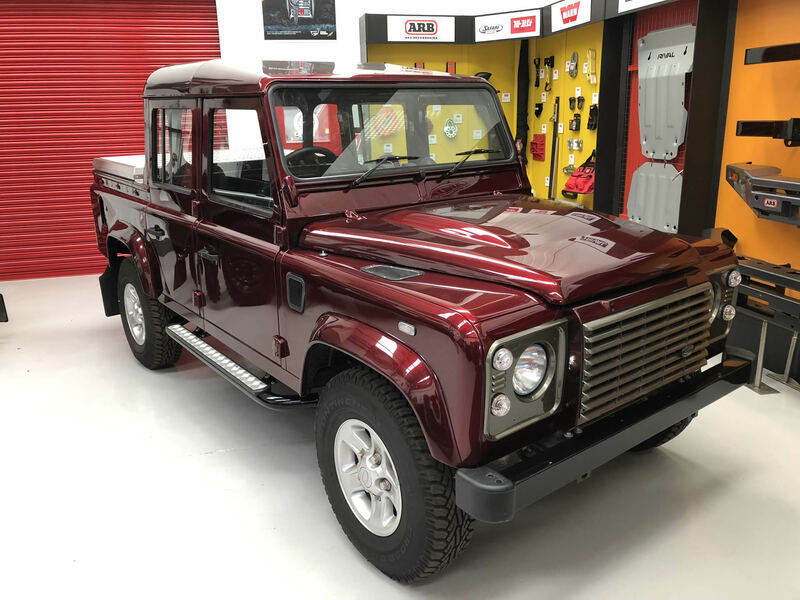 This immaculate Defender 110 Double Cab is a 2013 model 2.2TDCi with 3000 miles on the clock and is waiting for the right customer to put their stamp on it. From now on it can be built absolutely to your desired specifications, be it as standard or with different arches, rear body, racks, wheels, you name it. Come and see for yourself at our showroom in Silverstone to start this bespoke process.